Are you seeking to conduct your business in a more productive, and innovative manner? Are you looking to use applications fitting for today's market trends and demands? Do you want to have your application ready to face the Market Demand for Windows Phone 7 Applications? Based on the feedback from the previous BizSpark camp, we have made some changes. The main one being breaking what was held as a 2 day intensive single event, into 3 distinct separate events, run over 2 weeks. Each of these BizSpark Camps Series consists of 3 separate events. A half day introduction to the concepts, including demonstrations by technical experts from Microsoft & our MVP community. This is then followed by a full day of instructor led hands on Labs. After this if you think you are ready to start building your solution, you will have the opportunity to be involved in a 2-3 Day Intensive Development process where our technical & business experts will be on hand to help you build your Proof of Concept. It is IMPORTANT to note that due to limited time & resources, participation in the 2-3 Day Guided Proof of Concept development event is by invitation only, based on your attendance & demonstrated interest in both the half day event, and the Hands on Lab. Join us at the Windows 7 Modern Applications BizSpark Camp on 14, June 2010. Get an overview on how to design and incorporate key new features of Windows 7 in your applications; giving them a modern twist while incorporating resources like multi-touch interface, ribbon menus, task bar integration, external sensors like gps, WiFi Location services, accelerometers, and other features. This half day event will be hosted at the Microsoft Sydney Office in North Ryde. The Event will be followed by a hands on lab event on the 25th of June at the Microsoft Training Labs in the North Ryde office. Both of these events will feature MVP & BizSpark Network Partner James McCutcheon of Foundry38. If these two events inspire you further, and you think you have what it takes to build a Proof of concept around your Windows 7 Modern Application idea, you will be invited to participate in a three day intensive Proof Of Concept development program which includes Technical & Business experts on hand to help guide your development. This is also being held at the Microsoft Office on 28th, 29th, and 30th June 2010. 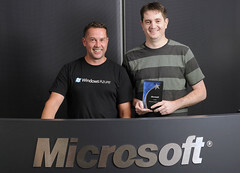 On hand to help with your development will be Dr Neil Roodyn, Microsoft Regional Director & MVP. Join us at the Windows Phone 7 Applications BizSpark Camp on 16th June 2010. Get an overview on how to design and incorporate key new features of Windows Phone 7 in your applications. This half day event will be hosted at the Microsoft Melbourne Office in Southbank and will feature Dave Glover from Microsoft & Nick Randolph, a Mobile MVP, sharing how to best build your new Phone 7 applications. It will be followed by the hands on lab event on June 25 also at the Microsoft Melbourne Office. Attendees are encouraged to bring their own laptops, so that they can download & install the required development tools to run all the hands on labs on their own machines. Following on from this will be a 2 day intensive Dev Camp Event where we will have technical experts on hand to help you build a Proof Of Concept of your Phone 7 application idea.